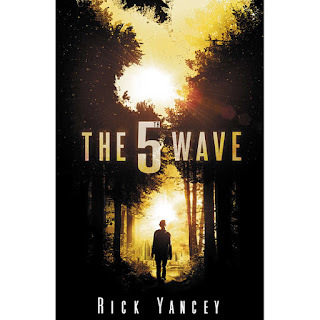 I first learned about this new YA novel by Rick Yancey when I stumbled across the first trailer in a series of four. Based around the premise of the novel, each trailer depicts one of the first four 'waves' that aliens are using to destroy the human race. Apart from the lure of this clever marketing technique, I found the trailers well directed and produced. This only enticed me more into reading the book. I watched the vlog on 365 Days of Reading, and decided it had to be my next read. "RICK YANCEY: Because it isn’t! It’s about us after a devastating, species-threatening event...The 5th Wave is sci-fi, but I tried very hard to ground the story in very human terms and in those universal themes that transcend genre. How do we define ourselves? What, exactly, does it mean to be human? What remains after everything we trust, everything we believe in and rely upon, has been stripped away?" What do you think?? I am super excited. Must. Read. Now. Or Else. I finished this book a week ago and still can't stop thinking about it. In fact, before I handed it off to a friend, I had to go back and read all my favorite parts one last time. The writing is amazing, the pacing is incredible, the tension is unbearable. It's going to be nearly impossible to wait for the next one!